The city of Lucerne in Switzerland is among the most sought after holiday destination. With beautiful scenery of mountains and pretty lakeside views Lucerne attracts millions of tourists and visitors every year. The best known attraction of the city is the Lake Lucerne from where Reuss River originates. Well known for its quaintness and rich cultural life, the everydayness of Lucerne city is the true essence of the land of Switzerland. Like the city even Lucerne Hotels are a class apart. Rendering the finest of accommodation facility these hotels make lodging in Lucerne a wonderful and a memorable experience. To reach the city of Lucerne which is located in the central region of Switzerland you may board train from the city of Zurich. From Zurich it would take you approximately 45 minutes to reach Lucerne. From Geneva, Lucerne is around 245 kilometers away and from Berne it is 92 kilometers away. Lucerne Hotels are a class apart. Offering the best of facilities and boasting of world class service Lucerne Switzerland Hotels make the best of your trip. And among the many places of interest to in Lucerne some have been mentioned below. This museum is a haven for all the Picasso fanciers. From exhibiting the personal photographs and intimate portraits of the famous artistes to the collections of art worksâ€¦ here you will get a chance to explore it all. The Picasso Museum is basically a 17th century structure that houses the studio of the artiste and many paintings that displays domestic and familial scenes. Constructed in the 14th century for security reasons, the Chapel Bridge is deemed as a landmark of the city Lucerne. The Chapel Bridge is made completely out of wood and is said to be the oldest of all wooden bridge existing in Europe. The best way to explore the bridge is to tag along with walking tours for a detailed description and facts about the Bridge. While walking over it you can savor the portraits of Swiss history and art. Overlooking the beauty of Lucerne City, Mount Pilatus is a beautiful mountain high on natural splendor. This is a perfect place for not only adventure freaks but for those who are looking out for some peaceful time and ambience. To reach the top of the mountain you may either board the cogwheel railway from Alpnachstad or reach via cable-car in from Kriens. Or if you like it then you may even reach the top on foot. In the city of Lucerne lies the region of Old Town which is quite a tourist attraction. Lively squares, quaint streets, pretty locales and bewitching ambience. Old town is extremely mesmerizing. Erected in the year 1386, the Musegg Wall is a very famous tourist attraction. For the visitors only three towers are open for viewing. This includes Mannli, Schirmer and Zyt. The museum of Rosengart in Lucerne was constructed very recently. Exhibiting the collection of artiste Paul Klee and Pablo Picasso, this museum also showcases the many exquisite art works of artistes and painters like Lager, Monet, Cezanne, Miro, Matisse and Braque of 19th and 20th century. About the Author - Nancy Eben is an associate editor of http://www.stayresswitzerland.com. 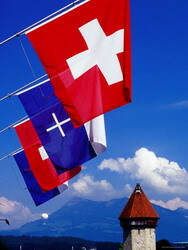 The website offers exclusive information of switzerland and Hotels in Lucerne. 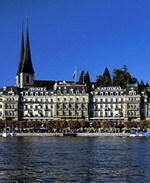 We also provide online hotel reservation of Lucerne hotels. 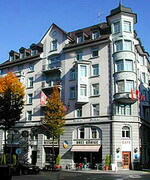 This old town hotel is located in the pedestrian district of old Lucerne, two blocks from the River Reuss. The hotel features 25 guestrooms, all of which include complimentary wireless Internet, flatscreen televisions, safes, radios and minibars. Guests of the hotel can enjoy an array of amenities including the shoe shine and laundry services, and complimentary wireless Internet throughout. Those dining on site can enjoy a range of regional and Italian cuisine in the hotel restaurant, which features a summer terrace. The restaurant serves a complimentary continental buffet breakfast each morning. Open Tuesday to Saturday 10 AM to 6 PM. 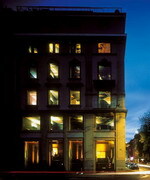 Many of the city's attractions are within 100 meters of the hotel, such as the Picasso collection. The nearest airport is Zurich, 60 kilometers away. With a unique atmosphere, special hospitality and convenient facilities, the hotel offers excellent accommodation that makes you to feel at home. The Hotel Cascada is located in the heart of Lucerne, only a short distance on foot from all the important places such as the railway station, the Chapel Bridge, Lake Lucerne, the shopping area and various museums. Each of the 65 guestrooms are individually designed and come with a host of modern amenities to make your stay a memorable one. The hotel also provides conveniences for disabled guests. The in-house Bolero restaurant is decorated in Spanish style and serves various dishes from tapas and light dishes to exquisite fish, meat, sea food and vegetarian delicacies for you to feast on. The Caramba bar offers a wide selection of cocktails and wines and is an ideal place to relax after a long tiring day. The elegant Grand Hotel National overlooks the lake in Lucerne, Switzerland. The city's picturesque Old Town and Chapel Bridge are 500 metres away. Opened in the 1870's by renowned hoteliers Auguste Escoffier and Cesar Ritz, the Grand Hotel National is a perfect example of Swiss old-world glamour. Gourmet French and Swiss cuisine and an extensive wine list are on offer in Le Trianon restaurant. The room is lit by a chandelier and decorated in pastel shades with silk wallpaper. Traditional Italian cuisine and regional specialities are on the menu in the airy plant-lined Padrino restaurant. In summer, dinner is served on the pretty terrace with lake views. The Grand Hotel National's Thai Lotus restaurant is an exotic setting for Thai curries, salads and soups. It features its own Thai temple, Asian greenery and rich decor. Guests can enjoy views of the lake and the Alps from the comfortable leather armchairs in the wood-panelled National bar. The hotel has a well-equipped spa with sunlit indoor pool, sauna and sunbed. 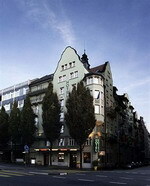 The traditional Lucerne-style Hotel Drei Koenige is located in the centre of Lucerne, Switzerland. 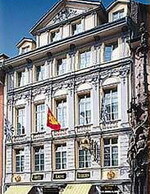 The Kunstmuseum and the Natural History Museum are less than 800 metres from the hotel. Set in a turreted building, the Hotel Drei Koenige is within a kilometre of the traditional architecture and wooden bridges of the city's famous Old Town. The hotel's guests can enjoy a complimentary buffet breakfast featuring local ingredients. The Drei Koenige Restaurant offers traditional Swiss dishes in a bright plant-flanked dining room. The hotel's multilingual staff can help with currency exchange, secretarial services, and sightseeing trips to attractions like the Picasso Collection. The Hotel Drei Koenige's 67 guestrooms are decorated with wooden furnishings and colourful fabrics. All rooms offer satellite television, voicemail, opening windows and bathrooms with shower/tub combinations. Overlooked by the Pilatus and Riga mountains, the picturesque Lake Lucerne is just three kilometres away from the Hotel Drei Koenige. 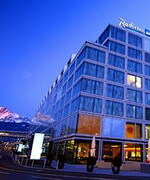 The Radisson Blu Hotel, Lucerne is a sleek, glass façade hotel located on the banks of the Vierwaldstätter See in Lucerne's centre, 300 metres from the Old Town. Some rooms have views of Lake Lucerne and the mountains. Guests with energy to burn can enjoy complimentary access to the hotel's top floor health club where guests can take in the soothing views over the Lucerene landscape whilst using the modern cardiovascular equipment. After a work-out guests can relax tired muscles in the sauna before enjoying lunch in the contemporary Mediterranean restaurant where dishes are freshly prepared before guest's eyes in the show kitchen. In fine weather guests can enjoy dining outside on the open-air terrace. The hotel is part of a complex which includes retail outlets and is adjacent to the new congress centre and concert hall. Many of the city's attractions are within walking distance, including the historic old town. Zurich Airport is 70 kilometres away with an approximate driving time of 45 minutes. The Hotel, designed by French architect Jean Nouvel, is located in the centre of Lucerne, Switzerland. Overlooking a park, this hotel is 500 metres from the Picasso Museum and within three kilometres of Mount Pilatus and Mount Titlis. Dark glossy walls and polished parquet flooring show off contemporary design pieces in The Hotel's lobby. There is a multilingual concierge service, currency exchange and complimentary wireless Internet access throughout. Guests are offered discounted access to a nearby fitness centre. The Hotel's Bam Bou restaurant serves French and Asian fusion cuisine in a sleek lowlit room with a black stone floor, wooden tables and leather sofas. The Lounge bar offers cocktails and light meals. Guests can enjoy panoramic views of the snow-capped Alps from Mount Pilatus, just two kilometres from The hotel in Lucerne.